Haryana BJP leader Suraj Pal Amu on Saturday threatened West Bengal Chief Minister Mamata Banerjee that she would meet the same fate as “Surpanakha”, a demoness from the Ramayana whose nose was cut off by Lakshman, a day after she said her state was ready to welcome Sanjay Leela Bhansali’s controversial film “Padmavati” and its crew. 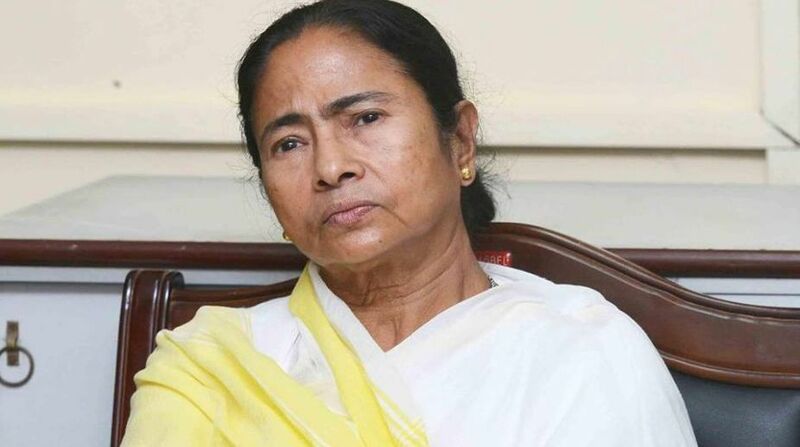 Amu’s comments drew flak from Banerjee’s Trinamool Congress, as also writers and cultural personalities of Bengal, who described the remarks as “shameful” and “unfortunate”. But Trinamool’s controversial leader Anubrata Mondal went a step further, matching Amu’s hate speech by threatening to cut off his tongue if he dared to make the comments in Bengal. Addressing a public meeting, Amu refered to the mythological character “Surpanakha”. “I have come to know that Mamata Banerjee is saying Sanjay Leela Bhansali, come to Kolkata. We will welcome you. I say, this is the village of Ramchandra Ji’s brother Lakshmanji. And what Lakshmanji did to Surpanakha, I don’t have to tell you,” Amu said, making a gesture of cutting one’s nose. In Valmiki’s Ramayana, Surpanakha – the sister of Ravana – had proposed toRama and Lakshman, but was spurned by both. In retaliation, she tried to attack Ram’s wife Sita, but Lakshman rushed to protect his sister-in-law, and cut off Surpanakha’s nose. Hours after Amu’s speech, Mondal – Trinamool’s Birbhum district unit president – went ballistic. “The Haryana leader has threatened to cut Didi’s nose, make her Surpanakha. Poor BJP, it is easy to say such things in Haryna, but it is not easy to make such comments standing here in Bengal. “If you utter such words here, people will chop of your tongue,” Mondal, equally infamous for his inciting speeches, told a public meeting. Amid the raging controversy over the period drama, Banerjee on Friday had promised to make special arrangements for the screening of “Padmavati” in her state. “Yes, we would welcome them. They are welcome here if they can’t do it in other state. We can make special arrangements. Bengal will be very happy,” she said, in response to a query whether her state would welcome the film’s crew for a premiere here at a time when a number of states have banned the movie. Trinamool Secretary General Partha Chatterjee demanded Amu’s apology. “The language, and the content of his remarks cannot be condoned. Either he should apologise, or else the people of the state would keep a watch on him, and launch proper protests,” Chatterjee said. Eminent Bengali writer Shirshendu Mukhopadhyay described Ammu’s comment as “unfortunate”. “I do not know how to protest. Such comments create despair among us. As politicians, they should be more careful about using their words. I do not know why police are not taking any action. Police must take action against such comments,” he said. Theatre personality Debesh Chattopadhyay said threatening people was part of agenda of the BJP and the RSS. “The more they talk like this, the more their hidden agenda will be exposed. History assures us the people of India would reject and protest such attempts,” he said. Poet Srijato Bandyopadhyay said through such comments, people like Amu were ensuring the “democratic right of cutting of nose”. Ranveer Singh essays Delhi Sultanate ruler Alauddin Khilji. Bhansali faced many hiccups while shooting the film, but the protests escalated as the film neared its release date. There are conjectures that it “distorts history” regarding the Rajput queen, though he has denied it repeatedly.